effectively engage business owners, strategically position their practice in the market, utilize marketing techniques, and execute proven sales strategies. No pre-reading materials or advanced preparation is required. You will be provided digital presentations, worksheets, handouts, three copies of Chris Snider’s book for business owners, Walking to Destiny: 11 Actions an Owner Must Take to Grow Value & Unlock Wealth, and an Integrated Marketing Kit for your participation in this interactive workshop. What’s the difference between a 4- and 5-day program? The full CEPA experience is a 5-day program that includes 23 modules taught by 13 instructors. Days 1-4 cover test concepts that you be required to know in order to pass your proctored CEPA exam. Day 5 is practice management, implementation models, critical path planning, and tactical marketing strategy training, and the ‘Day 5’ concepts are not tested. Though it is not advised, you can opt-out of the fifth day of training if you are not interested in learning marketing and implementation planning models. After you fill out the CEPA application, you can remove it from your shopping cart. “As a result of my education and certification from EPI, I am much better prepared to work in the exit planning market. In addition, the materials and educational support I receive on an ongoing basis from EPI is far superior to other programs that specialize in this market.” Jan Graybill, CFP®, CLU, ChFC, CEPA®, MSFS, CEO & Managing Partner of Legacy Planning Partners. 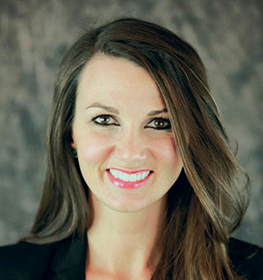 Meet Brooke Norman, EPI Vice President of Marketing for Exit Planning Institute and Snider Premier Growth companies plus a frequent speaker at industry events. For the past 10 years, Brooke has developed and led new growth strategies for middle market businesses in a variety of competitive industries, achieving accolades for outstanding achievement while creating top-line business results. Ms. Norman is a top-rated speaker, writer, and educator. She leads many marketing workshops at the University of Chicago Booth School of Business and other universities nationwide, to equip owners and advisors to develop marketing strategies that produce real results. Norman is one of the few marketing professionals in the industry to measure her success on one major indicator: revenue.